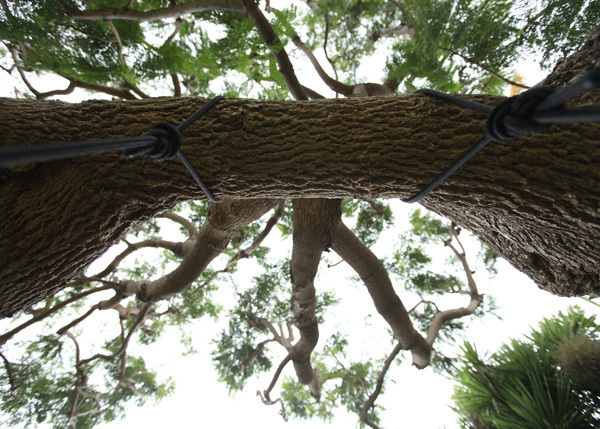 View looking up while swinging! 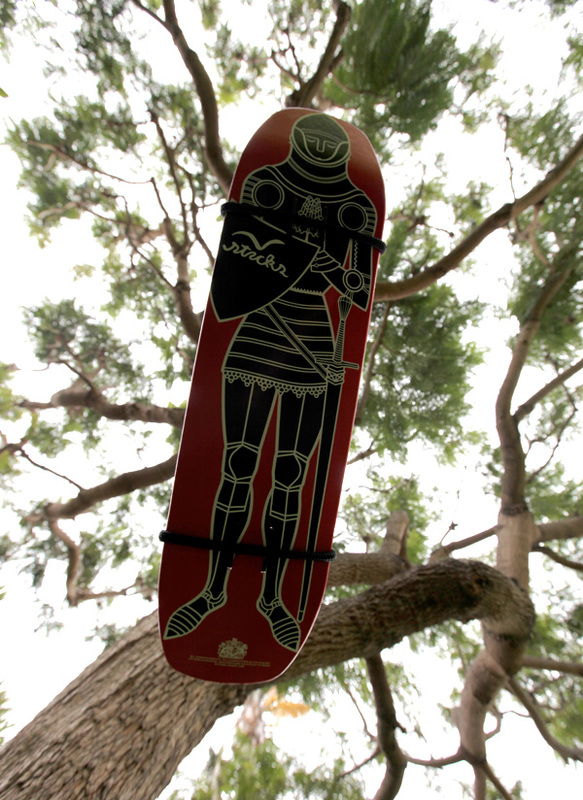 View beneath the swing… how cute is the knight? 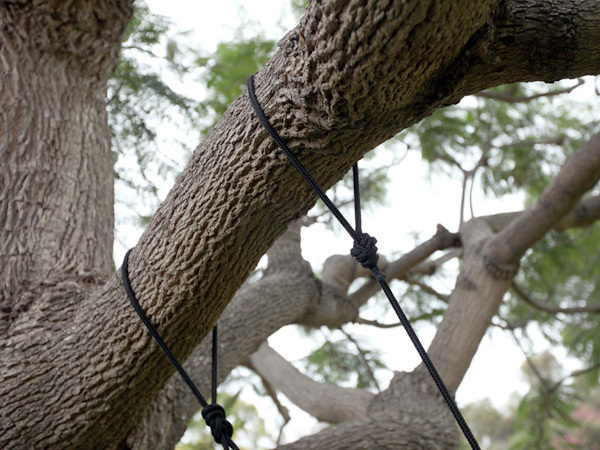 Tied some quick double 8 knots ~ while the tree holds up fine, thinking it might need some plastic/etc to help the wear on the rope/tree a bit? Hello. What a super idea. 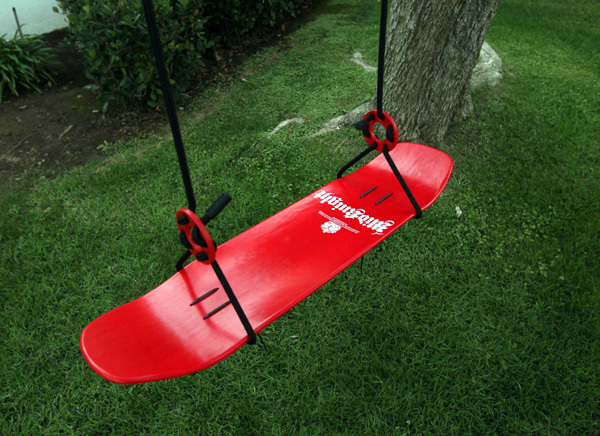 I was about to make a new seat from some spare wood I have, looked on Pinterest to get some ideas and saw your skateboard swing. Now I have to go shopping at lunchtime to get me a skateboard. My kids will love the idea. Thank you for sharing. besides the neat idea, nice scene composition with all those red details. cheers! those are so cool- maybe i’ll make my own! Really happy to see the idea materialize. Did you consider slipping something through the truck-bolt holes to situate the board into each stirrup, thus minimizing slippage, or does the weight keep it nice and snug? Also, big thanks for the Stacks black friday coupon; I was actually just a few bucks short, so the assistance will really helped me make my future a bit midknighty. 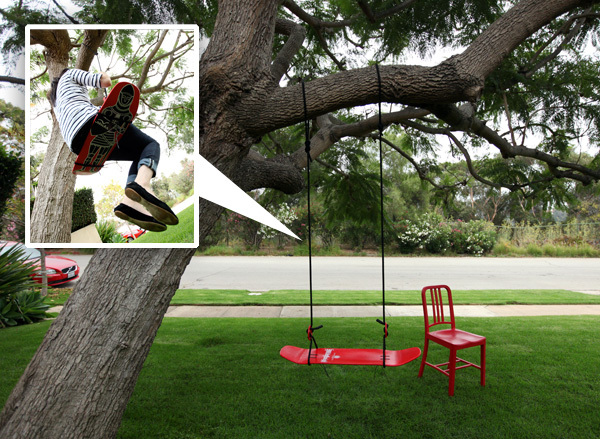 Nice Idea - But I would put something between the tree and the rope. Otherwise the rope will fray and break. We all want to be healty, cause we need NOTCOT.